As the wife of a general officer in the Air Force I’ve had the opportunity to travel to some beautiful places, partake in many interesting events and meet inspiring people along the way. All of that culminated in an experience last week, just after we’ve gone through my husband’s retirement ceremony and moved back to our home in Virginia. 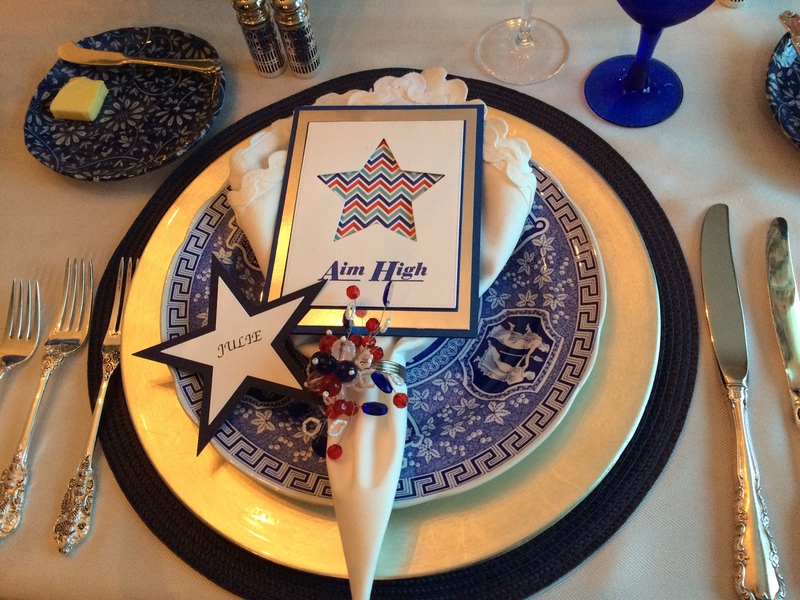 Every spring the Air Force holds a Charity Ball to raise money for the Air Force Aid Society. This past year some of our civic leaders from Shreveport, LA attended the ball and “won” the opportunity to attend a wine dinner sponsored by General (R) Norty and Suzie Schwartz and Maj Gen (R) John and Gail Brooks. I was fortunate to be able to attend the dinner and although I didn’t take my camera, I did have my phone and so today I’m taking WordPress up on the challenge to use a new (to me) application to post phone pictures in a blog, using Mesh. Your invite into my evening starts with the people I shared it with. Every one of them are people I would not have known had the Air Force not intersected our lives and I’m grateful for the deep friendships that have developed with them. What would a wine dinner be without the setting, the wine and the food? I didn’t get images of every single course because frankly, I was often too immersed in the conversation, the explanations, and the tasting to remember to record it, but I did capture most of them. As you click through each photo there’s an explanation about the food and the wine served. An evening like this doesn’t happen without the dedication of a lot of people so I did duck behind the scenes a few times to capture what was happening in the kitchen and recorded our wine expert at the table imparting his extensive wisdom to us. The food and wine, and the people we shared it with, would have made for a very memorable evening but it was the music that really added the “over the top” dimension to our night. In-between courses we were treated to the talents of the extraordinary Layendecker family with the father, Maestro Denny Layendecker on keyboards, and his daughters, Audrey , a vocalist, and Juliana, on the violin. Since I always have Instagrams with me I offered to let everyone choose their favorite. While I may not have caught everyone in action during the dinner I captured most them in these photos. These are the people who made this night possible and gave the eight of us around the table another epic experience together. 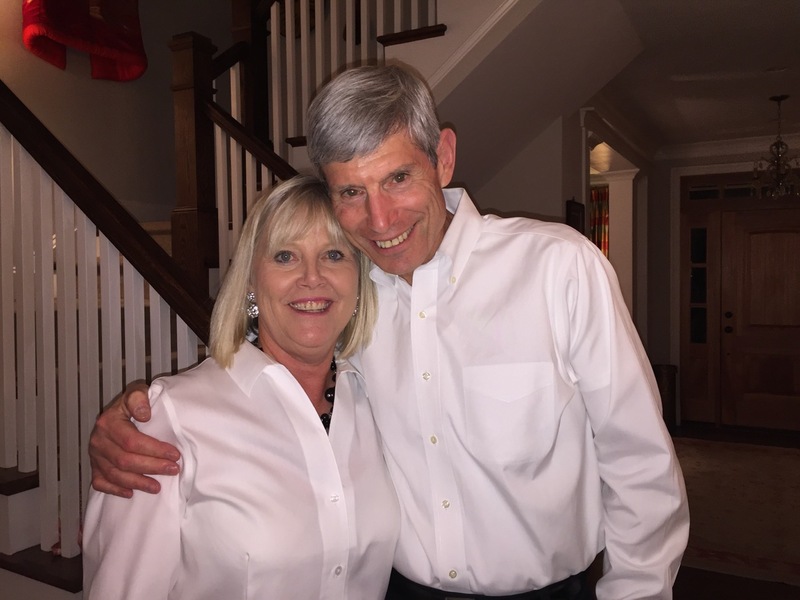 A special thanks to this couple, who opened their home to benefit the Air Force Aid Society and created our “night for the books” with dear friends. To view other bloggers interpretation of this week’s challenge follow this WordPress link. Using Mesh wasn’t required but I suspect many bloggers rose to the challenge.